1: © Ruud Altenburg, 13-06-05; 2-4: © Ruud Altenburg, 14-06-05; 5: © Ruud Altenburg, 23-06-05. Amsterdam, Netherlands. This is where things become more complicated. 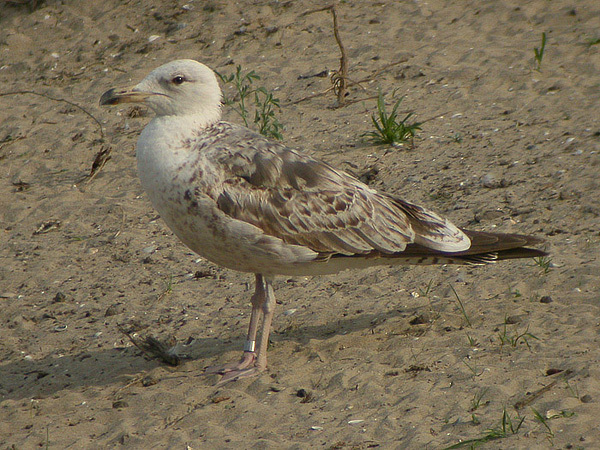 NLA 5.412.311, from IJmuiden, has a white head and nearly unmarked underparts, advanced bare part colouration and quite some pale grey second generation scapulars with only a narrow shaft streak. 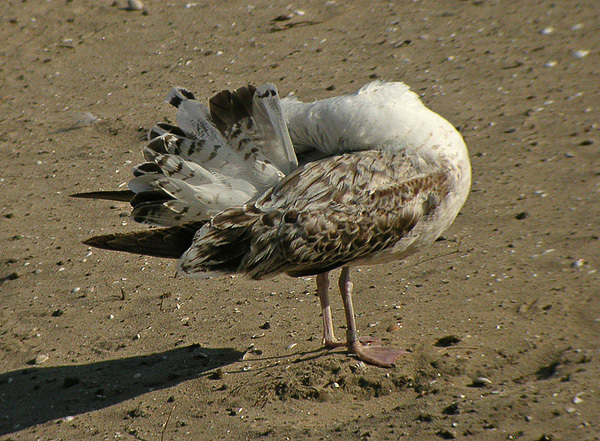 Only the rearmost feathers in the left shoulder are plain dark grey feathers. Like red F40, it has replaced (nearly) all scapulars, tertials and wing coverts on the wintering grounds. 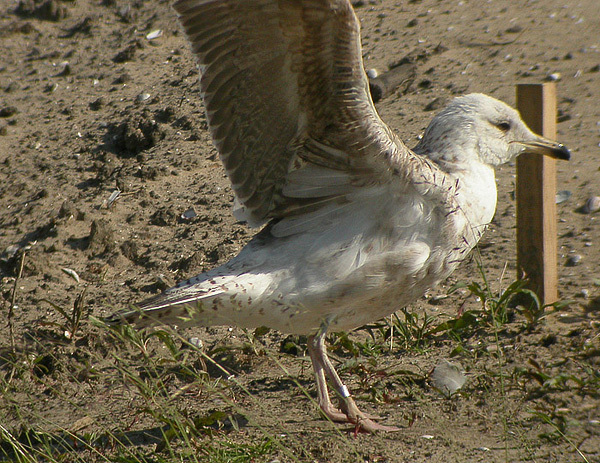 The tail shows a mix of juvenile and second generation feathers. Additionally, it shows a late onset of the primary moult: only P1-2 have been dropped by mid June. These characters are typically associated with heuglini. Other characters, however, probably would fit heuglini less well, like the dark grey freshest scapulars and lesser coverts (normally a shade paler and more bluish-grey in heuglini) and the plain brown axillaries (often finely barred in heuglini). 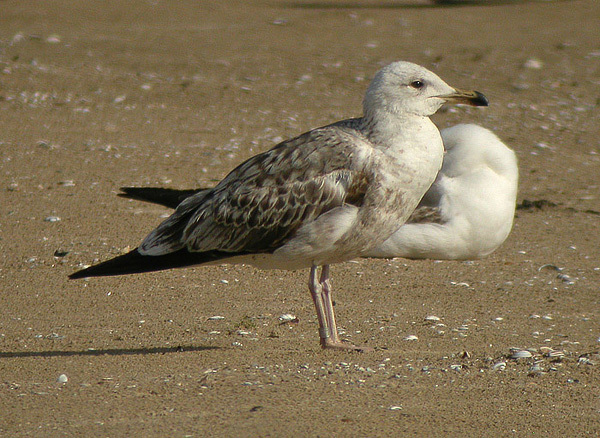 Nonetheless, in Finland this bird probably would not be identified as a Lesser Black-backed Gull. 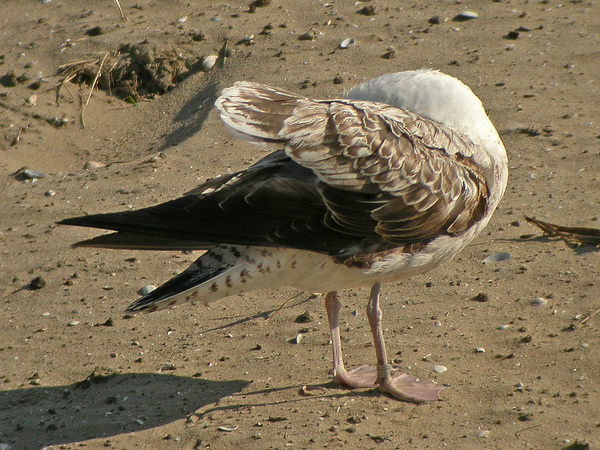 Further research is required to separate this type of Lesser Black-backed Gull from Heuglin's Gull.